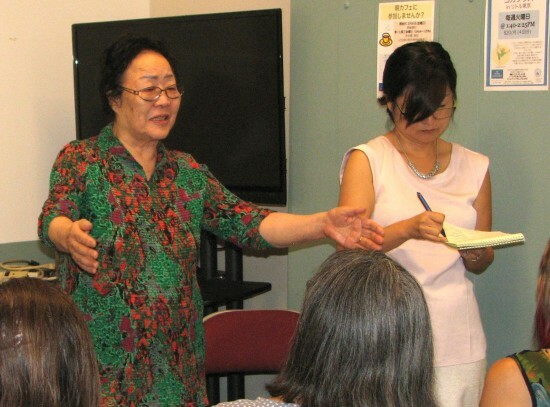 Phyllis Kim, executive director of Korean American Forum of California, issued the following statement Dec. 28 in response to an agreement reached between Japan and South Korea on the “comfort women” issue. Korean American Forum of California (KAFC) denounces the recent accord between governments of Japan and South Korea regarding the military sexual slavery by the Japanese Imperial Army from 1932 until the end of World War II. There are several problems with the recent agreement. 1. The agreement is a regression from the Kono Statement because it does not acknowledge “coercion” (and is) part of the Abe regime’s attempt to whitewash the history. 2. The agreement does not specify if the “heartfelt apology” will be an official, Cabinet- approved apology, which then can be retracted and denied again by future leaders of Japan. (Prime Minister Shinzo) Abe and other political leaders of Japan have done this to earlier statements. 5. Japan’s demand to remove the Peace Monument in front of the Japanese Embassy in Seoul is an example of how Abe and his government are attempting to continue to whitewash the issue. If the apology is genuine, Japan should welcome such monuments and embrace the incredible struggle of the halmonis that it represents. Even after numerous apologies, prosecuting the war criminals and making government reparations to the victims, the German chancellor renewed the German government’s apology for the Holocaust victims again. No German officials protest or demand removal of any Holocaust memorials or sections about the Holocaust in children’s textbooks. In every classroom in Germany, the children learn about the mistakes their ancestors made to make sure they don’t make the same mistake. On the contrary, Prime Minister Abe visited Yasukuni Shrine in December of 2013, where millions of war dead, including 14 Class-A World War II war criminals are revered as national heroes. Despite sharp criticisms from neighboring countries as well as the U.S., he sent his wife to Yasukuni in 2015, and again, Abe’s wife made a visit to Yasukuni Shrine today. This clearly shows where Abe stands on this issue of Japan’s war crimes. The over-emphasis on the provision that gags South Korean government from raising the issue, which, by the way, should not ever be part of any agreement related to this issue, also clearly shows that Japan is continuing its efforts to silence the victims and whitewash the history. The only way Japan can show the whole world that it means what it says is to embrace the seven demands aforementioned, just like Germany did for the Holocaust, and enter into a full agreement that covers victims of all 11 countries and not just South Korea. This accord is being rejected by the most vocal and active leaders among the victims and the advocacy groups that have been fighting to bring Japan to face the issue. Both governments of Japan and South Korea should cease and desist from carrying out such agreement that fails to reflect all of the major demands of the victims and fails to bring finality to the issue by failing to include victims and other stakeholders from 10 other countries. KAFC reaffirms our commitment to support the halmonis and their righteous seven principled demands aforementioned and reaffirm our commitment to raise awareness in the U.S. about the largest and longest-running institutionalized sexual slavery in human history by the Japanese Imperial Armed Forces. KAFC announced that a candlelight vigil would be held on Tuesday in front of the Glendale Peace Monument in Glendale’s Central Park “in memory of those who perished and in support of the grandmas from 11 different countries, especially those who stood up against the ‘deal,’ calling the agreement ‘null and void’ and demanding renegotiation.” Scheduled speakers included Kim, David Monkawa of Nikkei for Civil Rights and Redress, Chinese American community activist Elaine Wang, Rev. Dr. Jongmae Kenneth Park, and Barry Fisher, a civil/human rights attorney who represented plaintiffs in a forced-labor case against Japanese corporations.